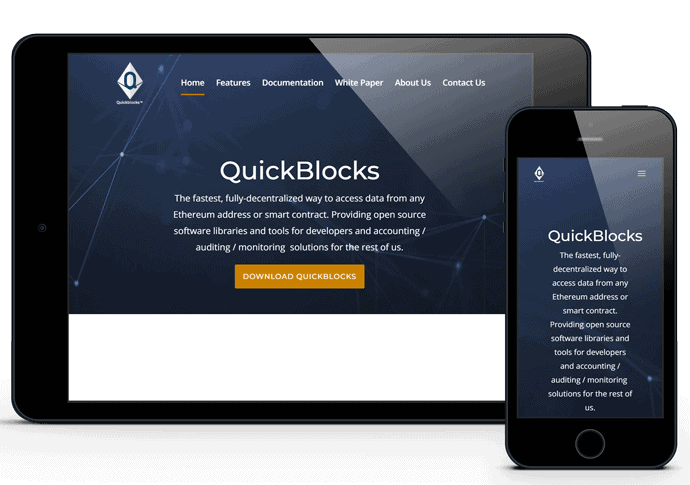 Quickblocks is a project of the American firm Great Hill Corporation, developed in the environment of the Ethereum cryptocurrency. It consists of a collection of libraries and software tools designed for quick and personalized access to an Ethereum node. The need was to make an inviting website suitable for the purpose of this startup. This design stands for a A one-page website for ease of navigation. The reason for this design is to make easier the process of downloading source code by offering intuitive functionalities, and encouraging the user to overcome each step. The structure, as it has been said before, consists of a single page, where it is very easy to leave the contact data, or find the information to contact directly. A form has also been configured for newsletter and email marketing subscription.